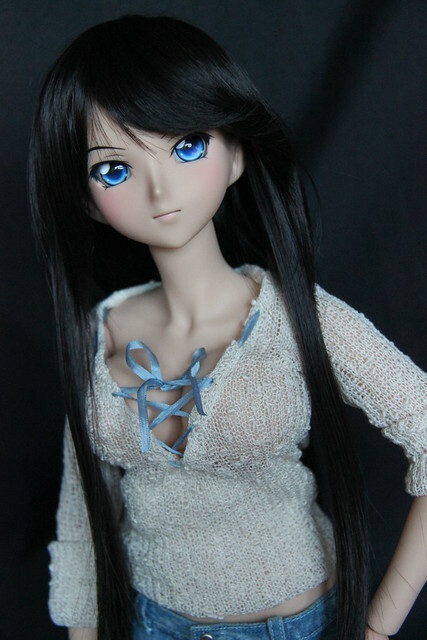 I took a few photos of Kanu last week indoors to try out a couple of wigs, and Kanu hated the first one I chose for her. She said that straight bangs are not her thing and try as she may, she couldn’t get the style to work for her. Ultimately Kanu is an outdoors kind of girl, so we went for a walk today to take some photos outside. But once the sun came out, she complained that her sweater was too warm! This entry was posted in Dollfie Dream and tagged Dollfie Dream, Kanu by archangeli. Bookmark the permalink.